I’m just popping by briefly today to point you toward the most recent collection of super simple recipes I put together Edible San Francisco. These hail from the summer issue, which came out several weeks ago ago, but I didn’t think to share them with you until yesterday, when I was reminded of their continued relevance (and that they’d been posted online!). I know I was waxing poetic about fall just last week, and it’s still true that my current obsessions are pointing firmly toward autumn. In a few conversations in recent days, I’ve found that I’m not the only one relieved by the change of seasons this time around. It rained yesterday, for the first time in who knows how long, and I was completely captivated, safe inside, watching it through the window with the cool breeze gently sweeping in through an open door. But as Bruce reminded me when he tweeted a link to these recipes yesterday, we’re not there yet. Just as fall hasn’t entirely arrived, summer isn’t quite over—and we should enjoy it! There are still summery delights at the market, and I hear the temperatures will rocket back up this weekend. It’s easy to be eager for the next season, at least for me, so I’m always glad to be reminded to revel in the transition, too. These recipes are perfect and timely for what Bruce called the “last gasp” of summer. Aptly put, and charming, too. 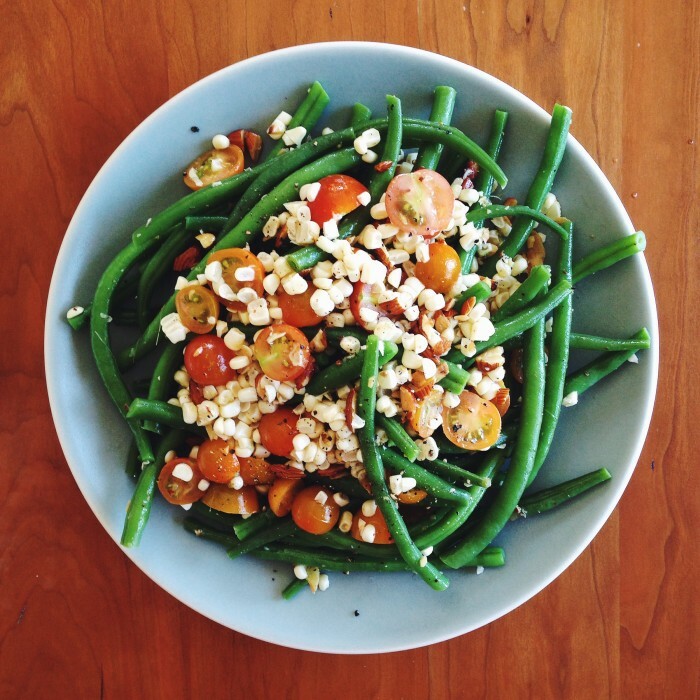 Find the full collection, including the recipe for the Garlicky Green Bean Salad pictured above, right here. Enjoy this last gasp of summer, friends!